From the same people who put together Nerd Block, Horror Block, Gamer Block, etc. now comes Comic Block! 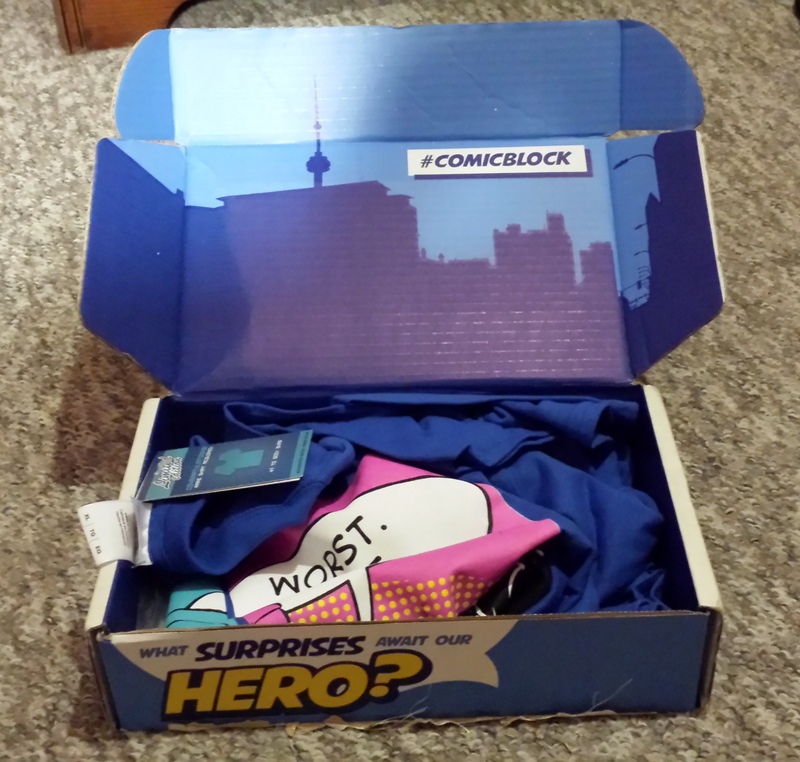 May 2015 is the first month for this new mystery box service and having recently gotten hooked on stuff like this and being a comic book fan, I was excited to see what the Comic Block would bring. I won’t go into details of the service (Hey, I’m not getting comped here, so why should I?) but head on over to nerdblock.com/comic if this ends up looking like your thing. 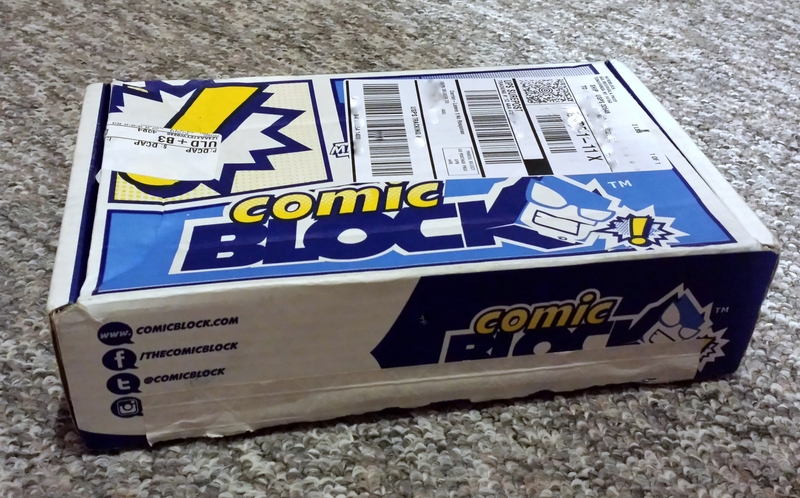 The Comic Block box as it arrived in the mail! I wonder if they’ll change the theme of the box every month. Lots of cool comic book-related stuff they could do. Opening the box, the first thing I see is a shirt. I couldn’t remember if a t-shirt came with this Block. All I could remember to expect was some comic books but t-shirts are pretty common for this type of stuff. In fact, I think the t-shirt is usually the best thing about these mystery boxes and they usually make the subscription price or one-time fee well worth paying.